This sculpture is a very fun, highly themed centerpiece for the waiting area of the Columbia Basin Pediatric Dentistry office in Kennewick, WA. The bright colors and fun theme fit in perfectly with the lively design of the waiting area. 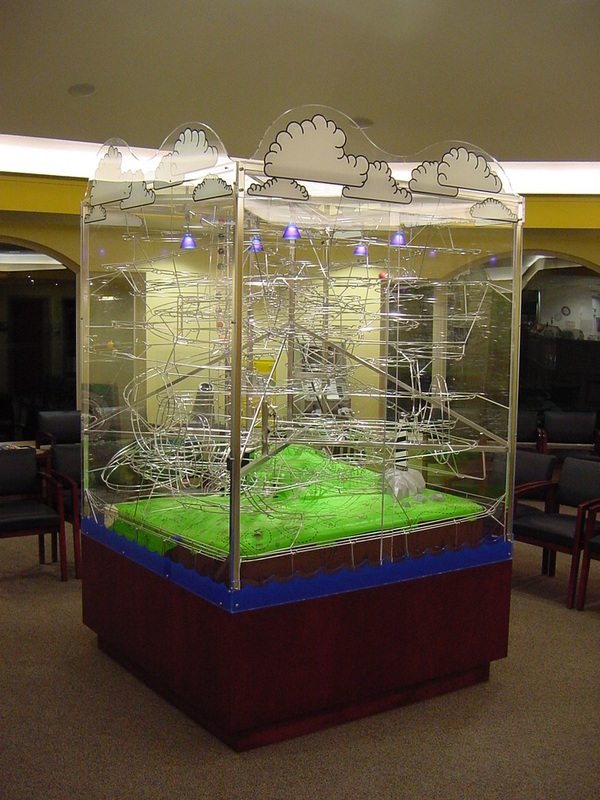 The custom display case encloses a wonderful island for the children to explore. The island is like a treasure map, with trails leading from three watercraft marooned on the beach. Which path leads to the treasure hidden under the big "X"? And what treasure is hidden beneath? You must watch the sculpture to find out. 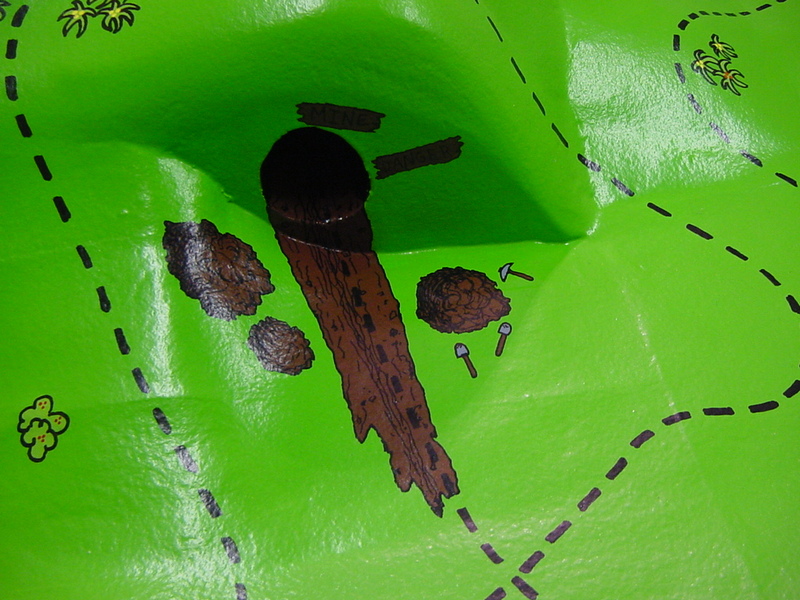 The big "island" is also a functional part of the sculpture. 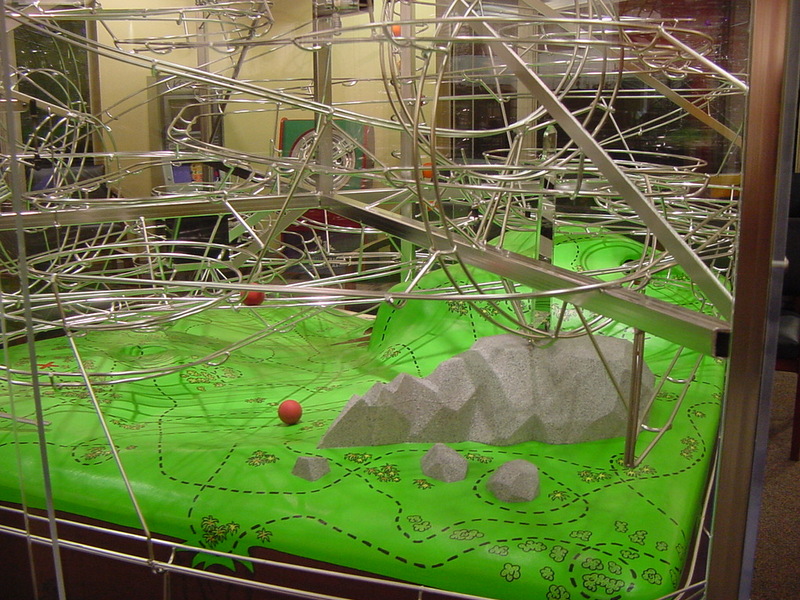 All surfaces slope to the perimeter of the sculpture, acting as a method of ball collection for all the tracks. The sloping surface also returns to the track any balls that might miss a target when flying through the air. The ball enters the cave elsewhere and exist here. Where is the gold?! 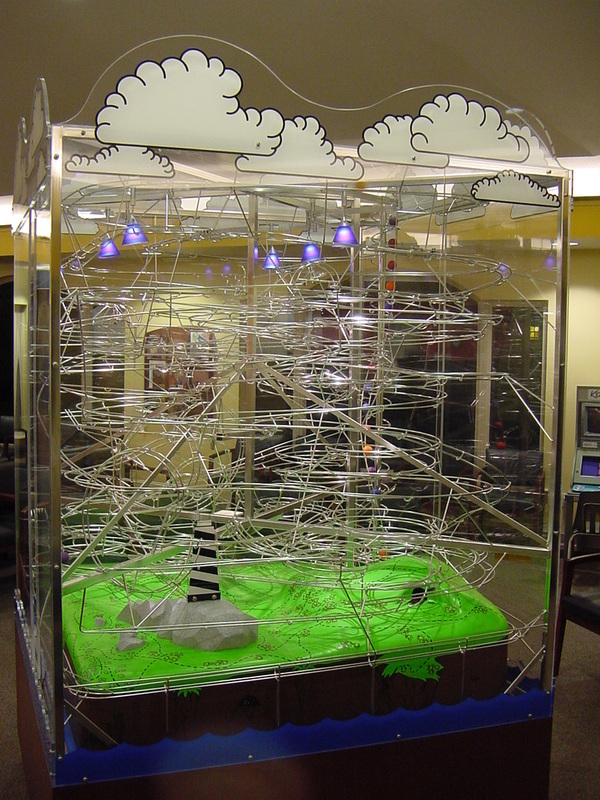 The highly themed Island Exploration Rolling Ball Sculpture can be viewed all around through its custom display case. This rolling ball sculpture is part of a mysterious island filled with buried treasure and adventure.